You may or may not have heard me mention this on SnapChat or InstaStories, but I’m heading to Telluride at the end of the month with my friend Amy! It’s been YEARS since I last went skiing… like maybe seven or eight? Let’s hope I remember how to do it! Luckily, Amy also prefers the easy, scenic ski runs to the black diamond slopes – phew! While I’m certainly excited to get my ski legs back, I’m naturally more excited about the clothes. Last week I went by St. Bernard Sports in Dallas and picked up a few pairs of ski pants, base layers and accessories… and I’ve also placed a few orders online for some other ski and après-ski items. Hopefully some of it works out! I’m super pumped to finally have an excuse to wear the white Prada ski jacket I purchased at the outlet store in Palm Springs too – it’s so fun! Anyway, if you’ve got a ski trip planned this winter or for your upcoming Spring Break, don’t miss these faves I found from around the web! 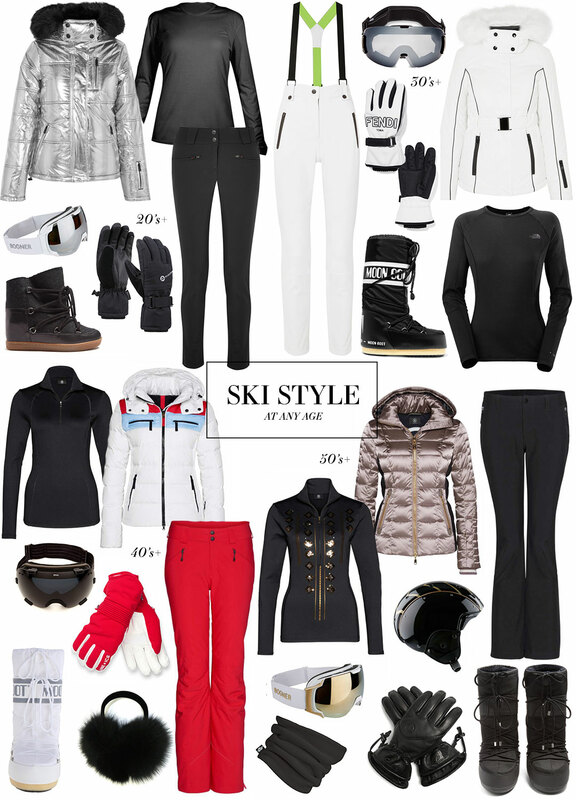 They’re guaranteed to keep you looking chic on and off the mountain. Love them all! Wish I was going to the mountains! Forget skiing, some of these items will be perfect just walking through Chicago winter haha! I love that metallic puffer!